Aimed at mobile buyers who want a hit of touchscreen action at a budget price, the Samsung Tocco Lite S5230 brings Samsung's TouchWiz user interface and typical minimalist touchphone style into a low cost package. Joining the hit Samsung Tocco F480 original and Tocco Ultra Edition S8300 upgrade, the Tocco Lite is the junior member of the family. It has a stripped down set of features compared to its Tocco brethren, reflecting its Lite moniker and light-on-the-pocket price tag – initially selling for £80-£130 on pay as you go or free on contract deals. It works using a familiar Samsung Tocco TouchWiz touchscreen user interface, bringing with it on-screen widgets and finger tap-and-swipe control. But the Tocco Lite doesn't have high-speed 3G mobile connectivity, relying instead on quad-band GPRS/EDGE mobile data. Nor is there Wi-Fi – something we've seen on higher-end touchscreen phones. Its camera, too, is a routine 3.2-megapixel, fixed focus, flashless snapper, rather than the 5- and 8-megapixel shooters of the Tocco and Tocco Ultra Edition. Although light on higher-end features, it has some decent functionality for a down-range touchscreen phone. It has a good-sized 3-inch screen for its touch-operated user interface, with a few dozen widget mini-applications to choose from, music and video player functions, and FM radio, plus a selection of online-based apps and social-networking options to work with. 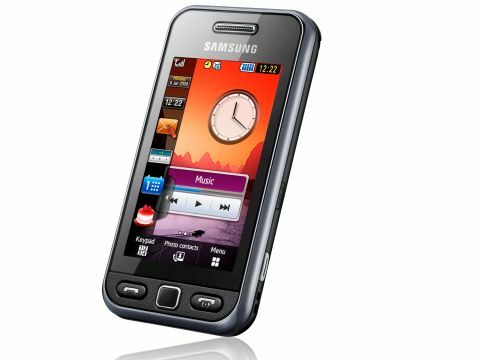 Of course, Samsung isn't the first mobile maker to slip a low-ender touchscreen into its line-up. One knock-on effect from the iPhone's blazing success has been folk looking for a taste of touchscreen further down-range. The LG Cookie – which is the Tocco Lite's obvious rival – and the modestly-equipped own-brand Orange Vegas have previously taken full touchscreen tech into sub-£100 territory. Samsung is no doubt hoping the Tocco branding will grab buyers' attention in this segment as it has done elsewhere.